Let’s start the World IPv6 Year! Today's test was successful. Time to start working with IPv6 on a larger scale! 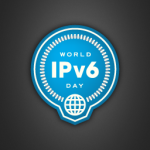 Today was the World IPv6 Day. A huge worldwide event for content providers to test dual stack access to their web servers. In Sweden, we organized a technichal IPv6 conference today, with many good talks. So far, it seems like nothing happened. Which means that we can simply say “Don’t panic” to content providers. Making your web sites available for IPv6 won’t hurt your customer base. Everything will work as before. You won’t get millions of hit over IPv6 today, but access over that protocol will slowly grow and you will be part of the Internet growth. IPv4 has reached the end, growth will happen on IPv6. This means that it’s time to focus on IPv6 in all projects. Make sure that all new solutions support IPv6. Do not start a new development project without IPv6 support. Do not buy new equipment without IPv6 support. Do not start new VoIP projects without IPv6. Edvina has been active with IPv6 for many years. And we will continue to work with IPv6. We’re founding the Swedish IPv6 Forum together with the .SE foundation. We organized the first Nordic IPv6 conference with the IPv6 forum years ago. Last year, we hosted the SIPit 26 test event for VoIP vendors, with a focus on IPv6. We can’t say that we’re experts after all the years, but we’re surely focused and totally committed to make sure our customers move forward and stay connected to the Internet. Fully. With both IPv4 and IPv6. And we’re going to clean up outside our own door to. We have native IPv6 in our data center, DNS, e-mail, network management, VPNs and our office connected to IPv6. The web site will soon be there. Step by step we’re building experience and enhancing our knowledge – from the basics to security, VoIP and routing. Make sure your organization stay connected too. Make the coming 12 months the IPv6 year for your IT platforms. Educate, test, develop, deploy. Let’s stay connected, let’s move to IPv6!